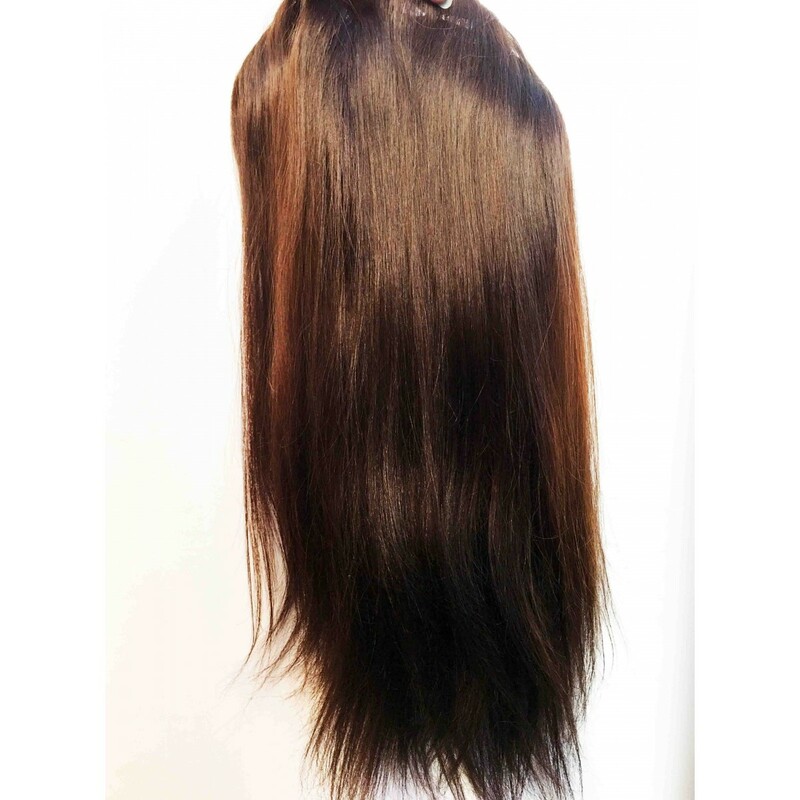 Add volume and length with our one piece Human Hair clip in half wig. 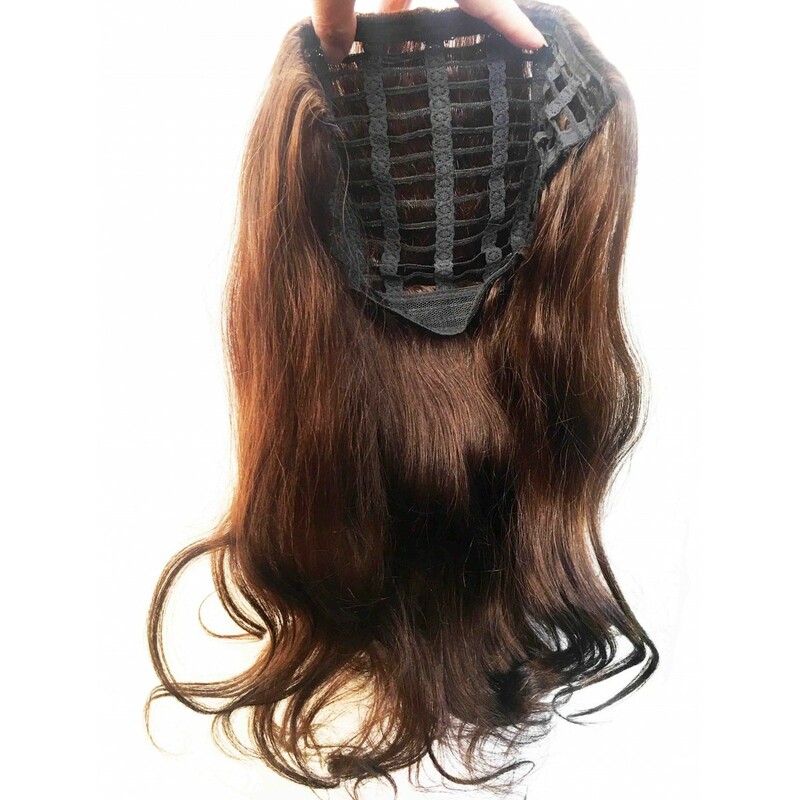 Wig comes on stretchy webbed net, with small comb clips attached. Section top part of your hair, and clip out of the way. 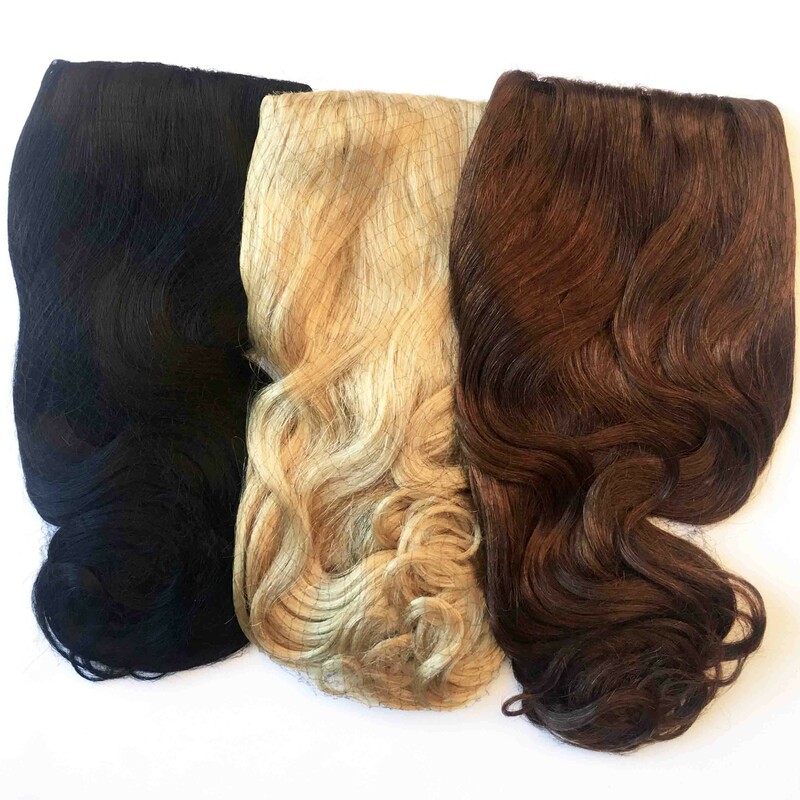 Open clips, and position wig in place on your scalp. 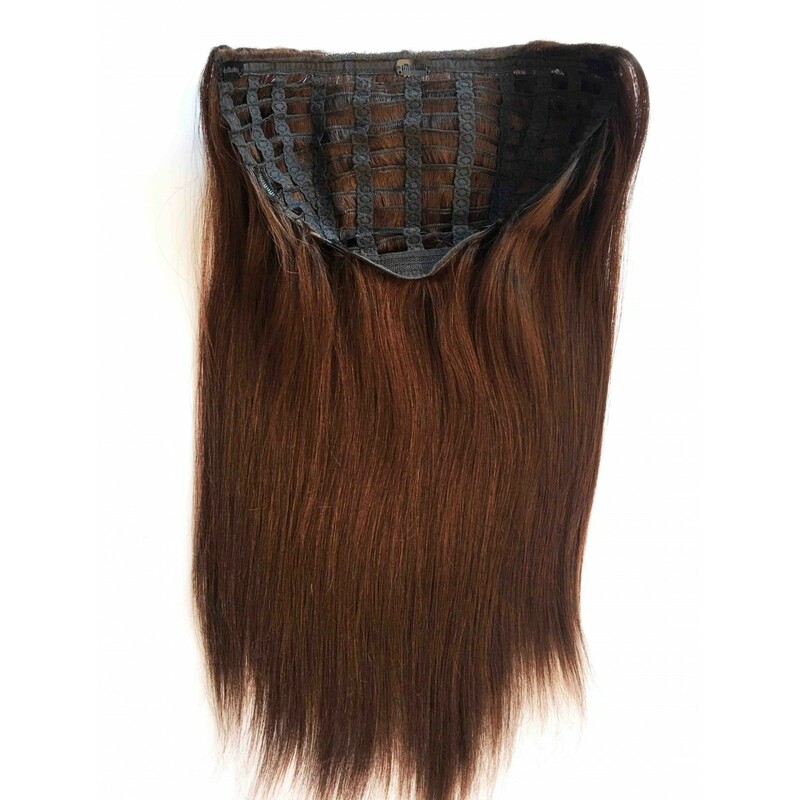 Snap shut clips into your hair to hold the wig in place. Clips are ono the top part of the wig, sides, and under at the nape of the neck. 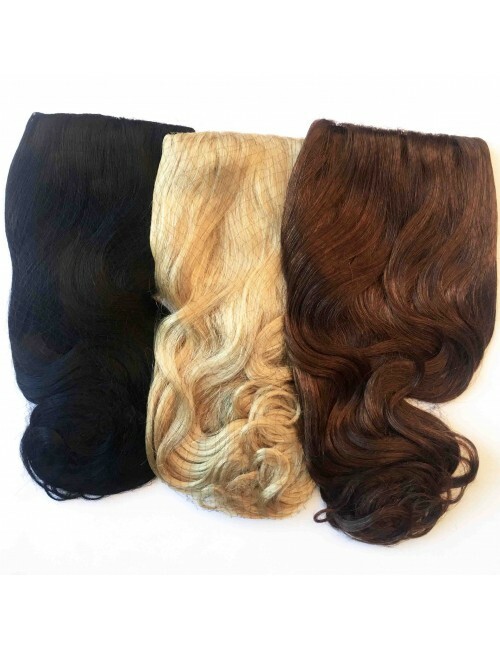 Drop your hair down over the half wig and style into place to blend with the wig. 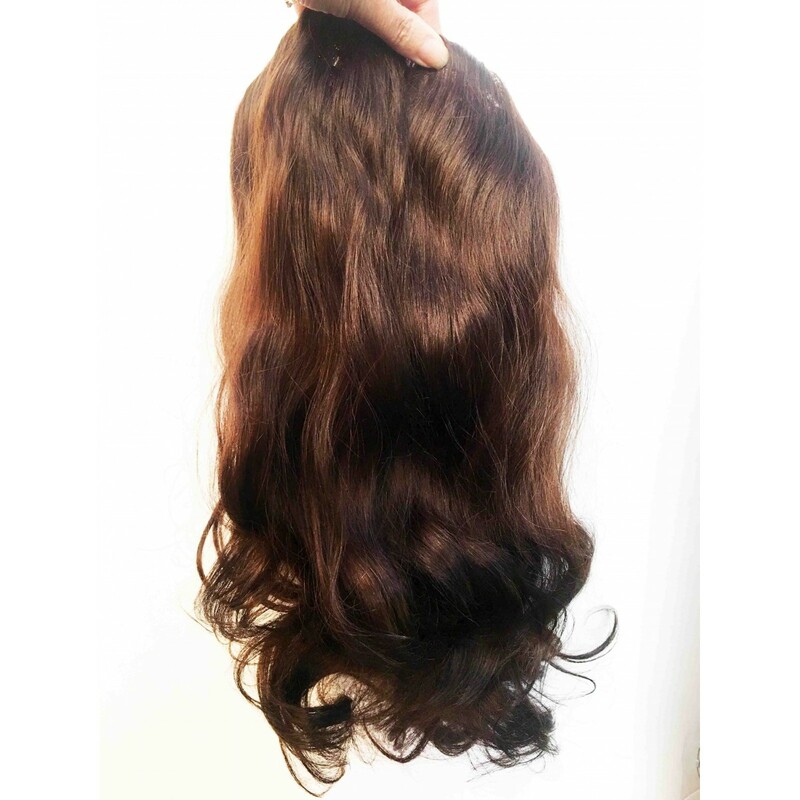 Wig comes styled with loose curls, but can also be straightened.